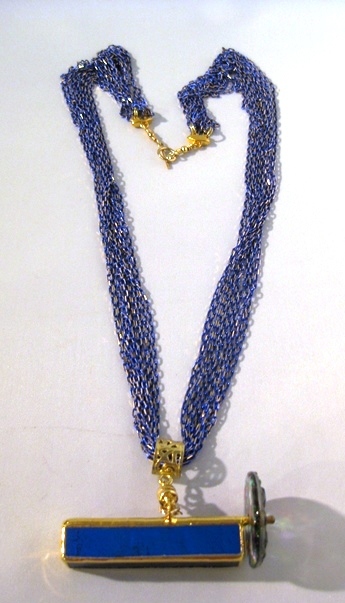 Detachable 4-sided dark blue stained glass and single wheel necklace scope hangs on a multi-strand chain of gold and dark blue links. 4 mirror system. 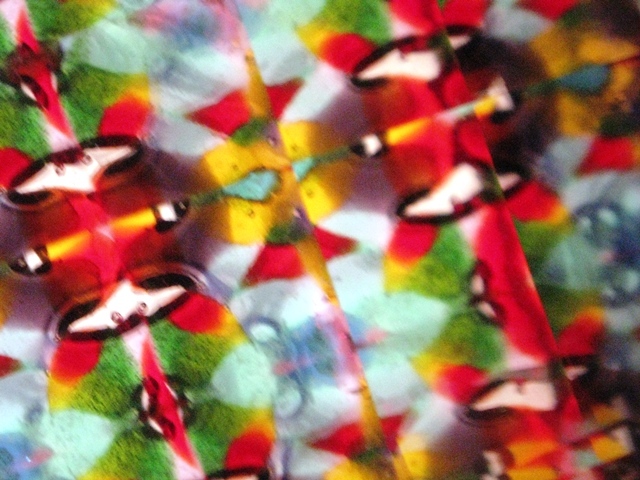 Kaleidoscope tube is 1.25" long and 3/8" wide. Colorful turning wheel is 1" in diameter. 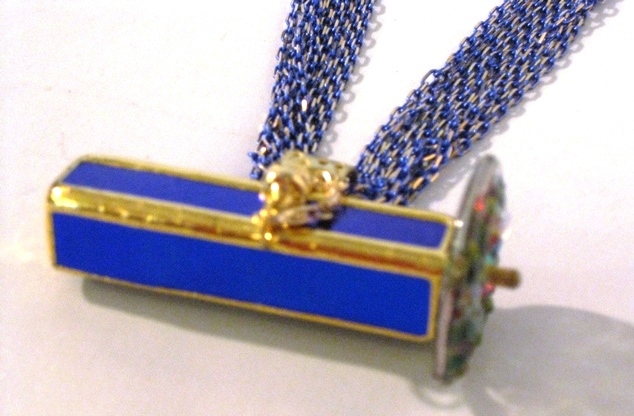 Strong magnet holds kaleidoscope on necklace. 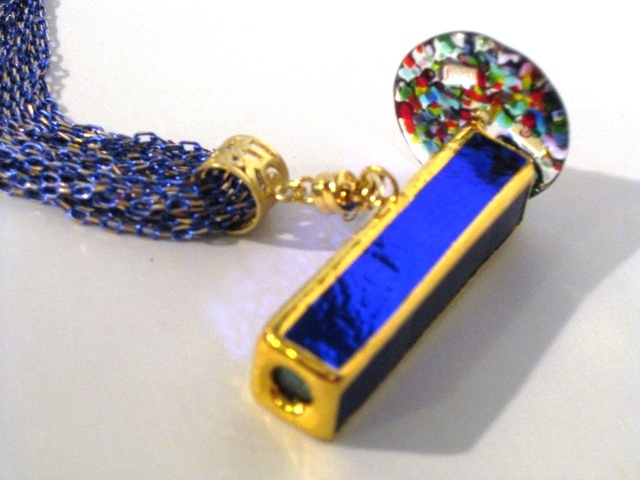 Easy to detach - just pull and share so others can enjoy the beauty of your necklace scope. Then hold near the necklace connector to attach the magnets again. Also includes a safety chain.